We value wildlife as a locally suitable form of land use and want to wisely, sustainably and appropriately utilise wildlife and wildlife products to optimise its potential to maintain and to develop the area ecologically, economically and socially. The name Nyamazane is derived from the Zulu word for antelope and there is an abundance of game on the farm as the name suggests. There are more than 30 game species on the property with more being introduced each and every year. 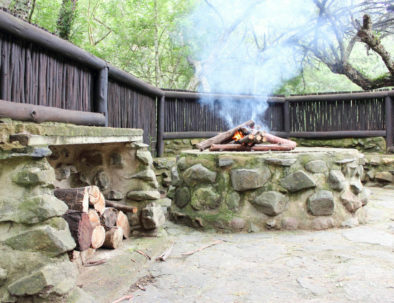 The farm boasts with big game animals like buffalo and giraffe and the smaller blue duiker and oribi. There are also predator species like leopard, caracal, serval and jackal present. 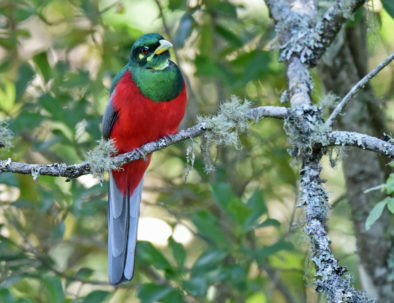 With more than 250 bird species the farm is a paradise for bird watchers and it is not unusual to spot ground hornbills, long crested eagles and even the secretive Narina Trogen to name only a few. The landscape consists of flat plains, sloping hills and beautiful perennial streams. The terrain includes different biomes such as grasslands, typical coastal bush and old forests. The road system on the farm accentuates the spectacular beauty of the area by running along and crossing perennial steams, tracking over and through an array of features like forests, riverbeds, steep slopes and rocky ridges. 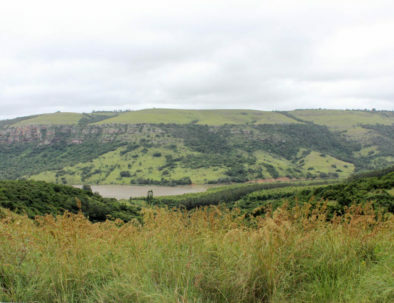 Vantage points along the roads offer spectacular views of the dams and valleys on the farm but also of the lake at Lake Eland and what the locals call “hell’s gate” which is the opening between two cliffs that form part of the Oribi Gorge system. Accommodation and facilities on the farm are mostly accessible with a normal sedan vehicle, but should you wish to go on your own game drives a 4 x 4 vehicle would be recommended. The farm is predominantly a game farm, but can also be described as a working farm with diverse approaches, such as rearing chickens, speculating in livestock and producing macadamia nuts. The farm is unique in that it is currently the only place on the South Coast where disease free buffalo are bred. This breeding project allows visitors to view these amazing animals from close by. The other activities are separated from the game section and do not interfere with it. Visitors to the farm are welcomed to experience these other features under the direction of a guide should they wish to get the full farming experience. 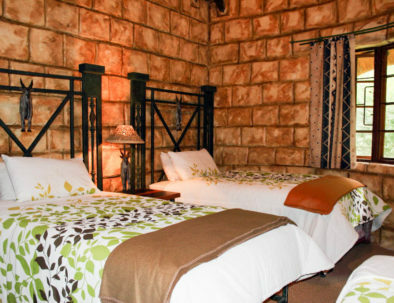 The farm has many activities on offer, including fishing, hiking, game drives, bush walks, birding and hunting. You are bound to leave rejuvenated and with many happy memories after visiting this part of paradise. 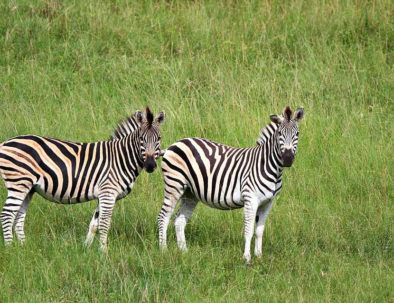 Nyamazane Game Ranch is located on the South Coast of Kwa Zulu-Natal, 34km from Port Shepstone on the N2 towards Harding/Kokstad. It is approximately 1.5 hours drive from Durban. The nearest town is Izingolweni which is a mere 3km from the entrance to the farm. Nyamazane is easily accessible with only 2.5 km of dirt road to the farm. 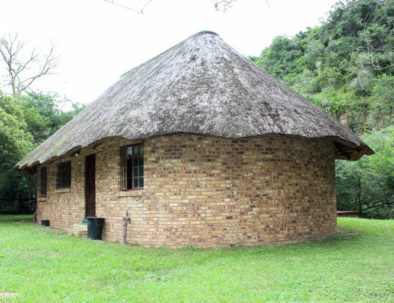 It is very close to the well known Oribi Gorge and has Lake Eland on its one boundary. The GPS co-ordinates are 30 46’ 5.218” S and 30 08’ 59.857” E .
Nyamazane Game Ranch is an ideal base from which to create a bush experience to remember for years to come or to enjoy the best the ocean and local entertainment can offer.